The ‘proper’ way to do this would be to plan it much further in advance, build buzz for your promotion, promote it actively the day of (and maybe the day before, too), and recruit help promoting your discount (this is why you need to plan far in advance) from bloggers, websites, and any of your contacts willing to help you spread the word among your target audience. You might even consider investing in an advertisement that would get you plenty of exposure among your target audience. However, the tool is also new, so although the books that are taking advantage of the countdown deal already haven’t had time to plan for the promotion, they may be getting a lot of initial traffic from the many people who are checking it out. Once this effect wears off, you’ll definitely need to plan ahead and promote effectively to get the most out of this. I chose a couple of my lesser-known books that don’t tend to sell well for my experiment. Partly, I wanted to save my more popular books to help, in a tiny way, entice a little Read Tuesday traffic. Also, sometimes an experiment on a book that ordinarily doesn’t sell well on its own can provide a revealing marketing outcome. One of the two books I chooe had been in free promos in years past, so I’ll be able to compare those results to the results of the Countdown. If you’re testing it out this week, I’d like to hear about it. Maybe I can find an excuse to mention it in a relevant post. And the combination of my data with your experience might be relevant for a future post. So if you’d like me to possibly discuss your promotion and your experience with it, please let me know. 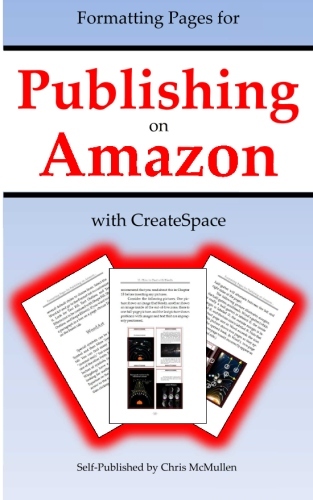 (1) Formatting Pages for Publishing on Amazon with CreateSpace, Chris McMullen, B00BGPK70G, February, 2013. 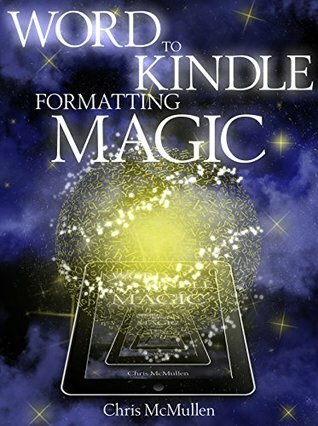 This book is geared specifically toward using Microsoft Word 2010 to format a paperback book for publishing with CreateSpace. It’s a short, concise book (104 pages in print, but the paperback version is 5″ x 8″ and divided into several chapters and includes figures, so the written content is much less). One reason that it doesn’t sell well is that my Detailed Guide is a better value, being much more detailed. Also, I don’t market the Formatting Pages book. I’m curious to see if the Countdown tool has any impact on a book that ordinarily doesn’t sell much. 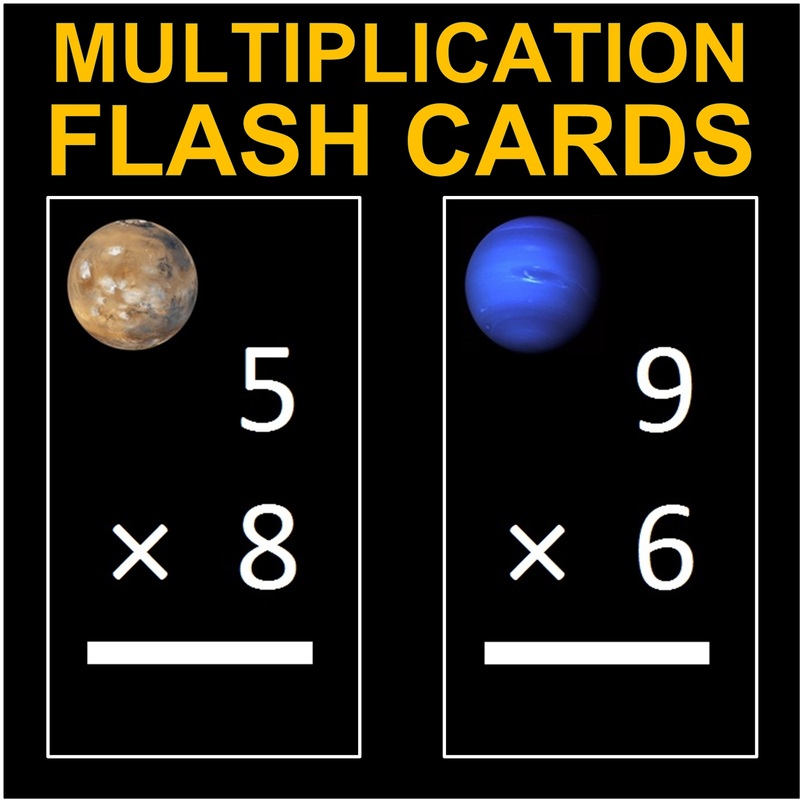 (2) Far Out Multiplication Flash Cards 1-12 (Decorated with Solar System Photos), Chris McMullen and Carolyn Kivett, January, 2012. This flash card set is a book, not a game. 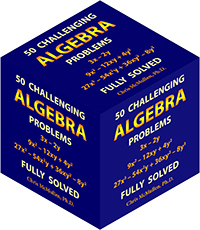 The first half of the book consists of 1 x 1 thru 12 x 12 in order with the answer immediately following the question. 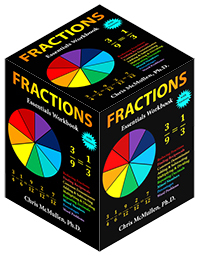 The first half is designed for kids to practice and memorize. The second half has the cards shuffled, still with the answer following the question. Here, kids test their memory by checking the answer on the next page. The cards are visually decorated with solar system photos. There are two reasons that this book doesn’t sell much. First, I have another multiplication flash card book that has 11 reviews, while this one has none, so naturally people tend to buy the one that has all the reviews. Second, this book used to be more expensive than my other multiplication book, so the other multiplication book has a history of more sales (the other book is also part of a complete set). They are now the same regular price, so this book is actually the better value because it goes up to 12 x 12 instead of 10 x 10. In the past, this flashcard book always did well with the free promo (over a thousand books in the good old days when KDP Select was new, and hundreds in later months), so I have something to compare it with. The free promo generally resulted in a boost of sales afterward. So I’ll be able to compare the overall effect on royalties, too. Both of these books are presently $2.99 in the US and will be 99 cents during the Countdown promotion. The Countdown will be all day on Tuesday, November 5, Pacific Daylight Time (PDT). In the UK, the price will be 0.99 pounds (I actually had to raise the price of one book slightly to make it eligible). Both books have pictures, so the delivery fee is 50 to 60 cents on each book. This is important because my royalty during the promotion would actually be higher at 35% than at 70%. KDP doesn’t show you what your royalty would be during the promotion. So it’s worth checking your delivery fee and doing the math first. You’d hate to learn later that you were making one penny per sale! So I first changed the royalty rate to 35% and republished. You can add the Countdown Deal while it’s republishing (check the box and select the Actions button on your Bookshelf). Note that you must change your royalty option at least 24 hours before your promotion begins. First try to create a Countdown Deal to see what dates you’re allowed to choose. This way you won’t waste your time for a promotion that you’re not allowed to schedule. Next, check your delivery fee. Compare this with what you would make at 35%. If 35% gives you a higher royalty, you must change your royalty rate at least 24 hours prior to the start of your promotion. Finally, schedule your promotion. Be sure to choose the start and end times in addition to the dates. See how many hours your promotion will last before you confirm. It would be very easy to accidentally make your promotion last just one hour without even realizing it!